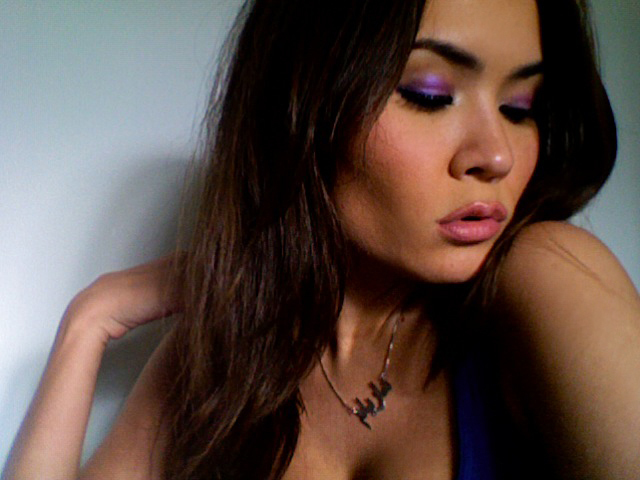 EYES: I started off by smudging a purple cream shadow/liner all over my teensy lids, staying under the crease. Next I packed on Urban Decay shadow in Fishnet, covering the cream shadow, and then smudged it under my lower lash line. To create more depth, I added UD shadow in Ransom to the outer corner and blended it with Fishnet. To complete the daytime eye look, I lined my entire waterline with a black cream liner and sealed it with a black shadow. I added some shimmery white shadow (Polyester Bride) to the inner corner and applied falsies. 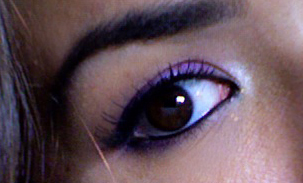 The effect is bold yet subtle... with my eyes open, you can't even see the purple. THE PRODUCTS: Urban Decay Deluxe Shadow Box (left); Urban Decay Ammo Palette (right); Buxom cream shadow/liner in Schnauzer ; Clinique cream liner in True Black ; MAC mineralize blush in Moon River. on my cheeks and under the brow and liner on top. Which eyeshadow colors or color combos should I try next? Love the purple! Very pretty, especially with your skin tone! Very good look, I love it! thanks ladies!!! @sumitha: will def do a look with peace, thanks for the request!!! OMG that mixture of purple shadows are to DIE for! GEOURGOUSSSSSSSSSSSSSSSSSSSSSS!! THIS IS IMPOSSIBLE EVERY TIME U POST YOU BLOW ME AWAY!! The purple looks fantastic on you! Wow looks great! You are so pretty! Thanks for following me. I am now following you. 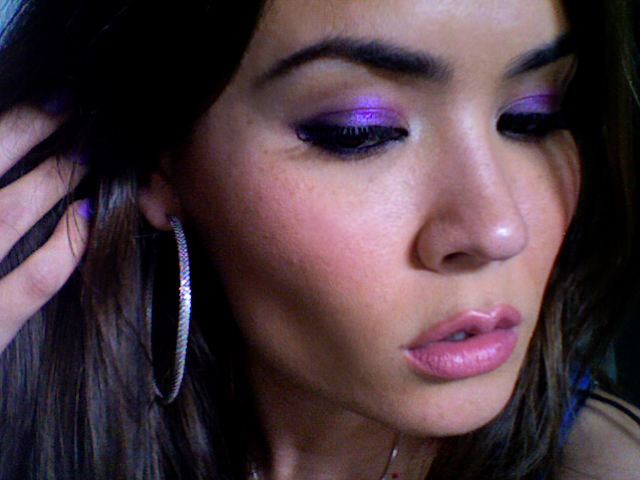 I ADORE purple on the lids! Always looks so gorgeous - especially on girls with darker eyes and hair. This looks beautiful. I don't know if you've already done this (I'm a new sub!) but I'd love to see a look using a silver on the lid and a dark shade in the crease/corner? I love contrasts like that. i love your make up!! you look gorgeous <3 the urban decay pallet is amazing-i have the same, and i use it all the time!! Wow, thank you all for the comments and the compliments!!! I am so overwhelmed by your good spirits!!! Lovely eyeshadow colour. Great post. нравится очень макияж глаз!! !сливовый металлик - оттенок который всем идет!ты красавица! So pretty!!! Love the purple!! Lovely look! The purple looks amazing on you! Gorgeous look. I will try purple next. 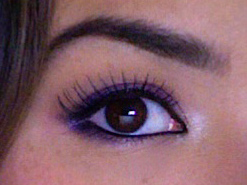 Purple looks great on you....this is a very pretty eye look. The last pic...your skin is perfection!